Going vegetarian has been hard, I’m certainly not gonna lie about that. But, I have not had pork and beef since February!! I’m pretty damn proud of myself for that. Eating seafood (I have a new love for smoked salmon), and chicken, here and there! 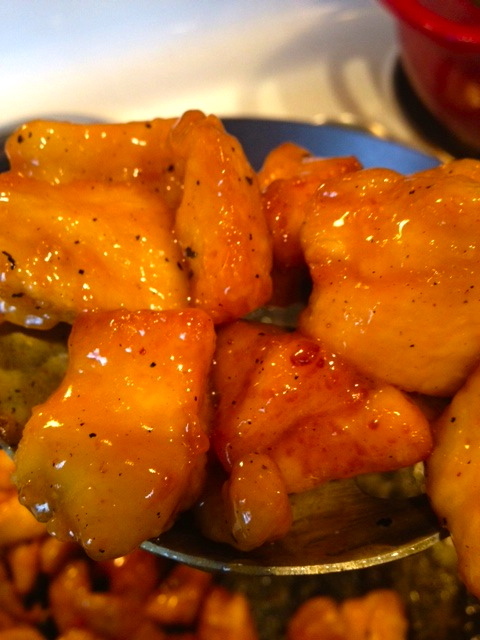 Last night in my pondering ways trying to figure out what to make for dinner I decided I wanted rice more that anything, so I thought I would make Orange Chicken, Rene loves it, as do I, (from Panda, that is) so we’ll see how my rendition goes. 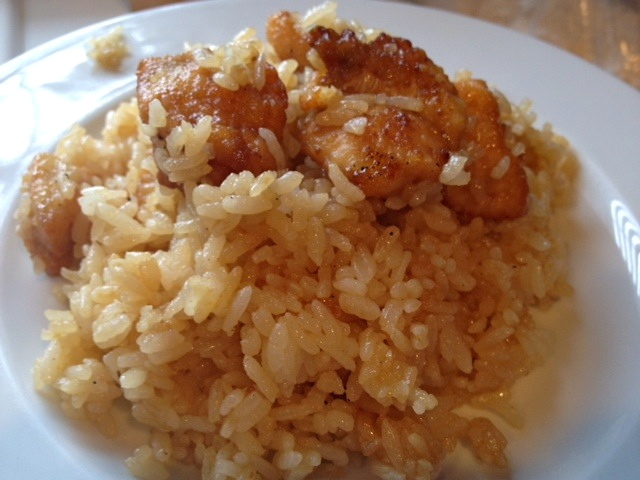 ~Cook your rice, I use a rice cooker and always melt about 3 tbsp butter, a splash of lemon juice, and about a tbsp sriracha sauce, mix that in with the water and add to rice. Turn on the cooker and your done with that!! 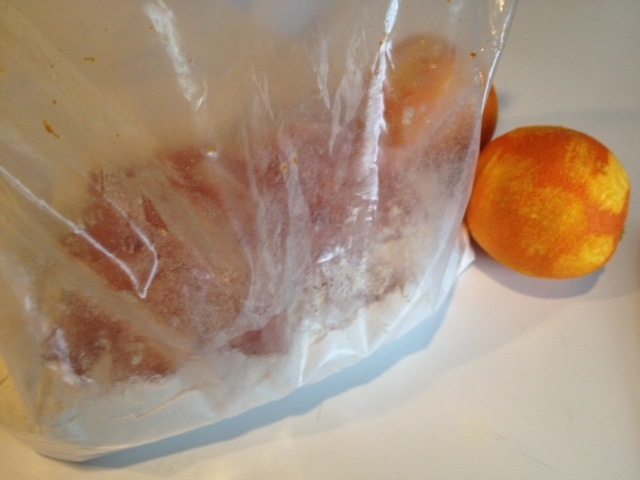 ~Place flour in a gallon size zip locking bag, zest both oranges into the flour, add salt and pepper to taste. 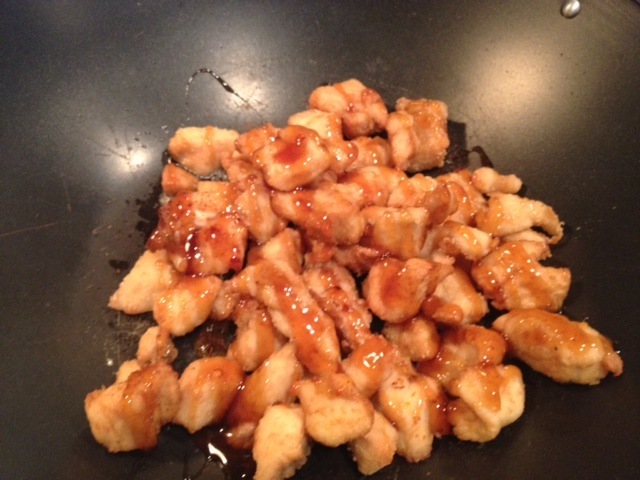 Add chicken and those to coat. 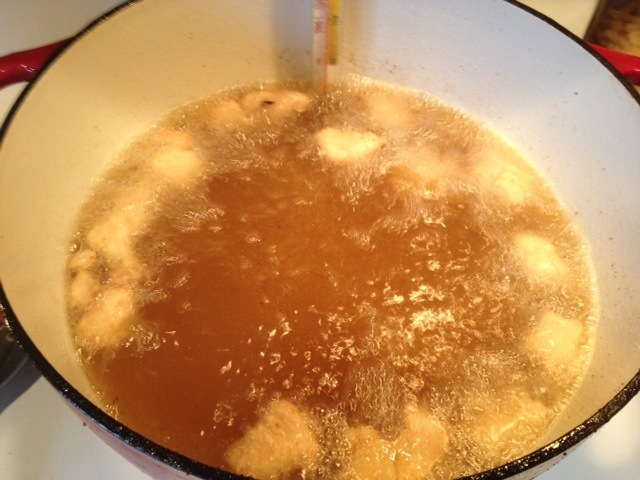 ~Heat frying oil to 350, and cook chicken in batches to not over crowd the pan, drain on paper towel. 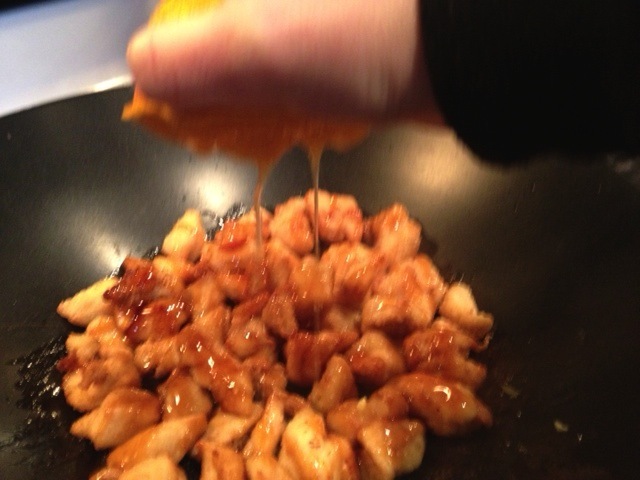 ~Once all chicken is cooked, place a bit of oil in a wok on medium/high heat, add chicken, orange sauce, juice both oranges, and ginger, and fry for a few minutes to coat all chicken with the sauce. 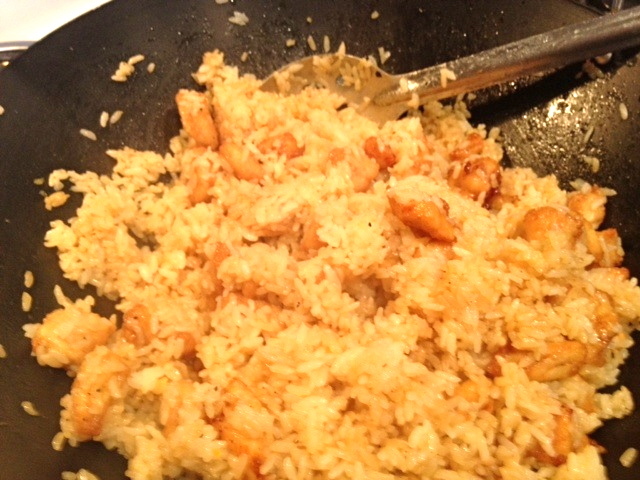 ~Add rice to the chicken and pour soy sauce on, mix and serve. The verdict: Rene loved it, said it was better than the version he had made a month or so back. 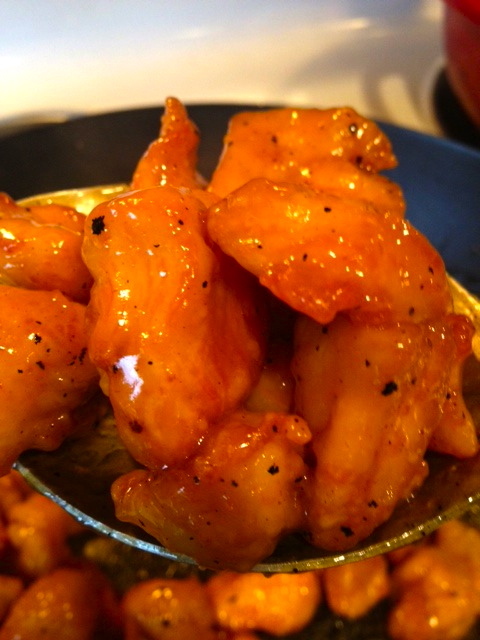 Categories: Chicken, Chinese Food, Sauce / Salsa | Tags: chinese food, orange chicken, oranges, Rice | Permalink. I’d like to try that recipe with dark meat, maybe even on-the-bone chicken backs. Looks very tasty. Now I’m starving! Great post!